The taste is again fruity-honey sweet but with stronger spicy (peppers, chili) flavours than was the nose. After some chewing nice raspberry marmelade notes appear that are tasty (I adore raspberries) and after that I detect hints of sultanas (which reminds me of "Dresdner Weihnachtsstollen", a famous German christmas cake). Water is not needed. The initial mouthfeel is warming and coating with a minor peppery touch that is rather welcomed after the very sweet nose. 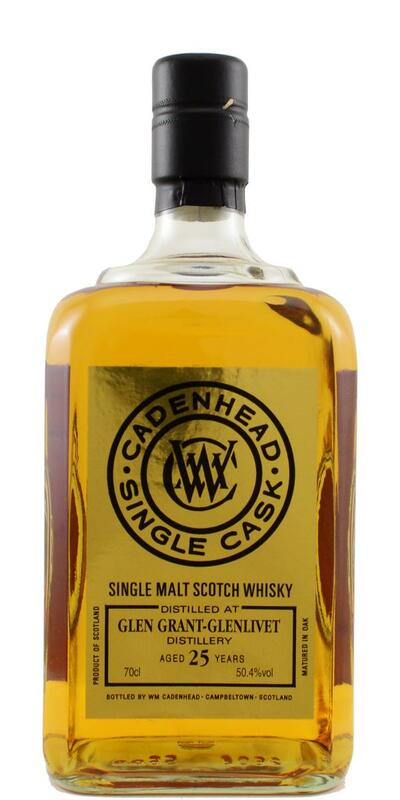 The finish is of medium length and adds some fresh impressions of green apples (which is really unusual because such flavours tend to apppear first and not last in whiskies). No distracting moments during the finish except a minor drying (papers) feeling. Colour: pale gold. Nose: very much the same distillate, just older. Similar bountiful notes of orchard fruits, but here you can also add wee hints of mango, guava and papaya. Some green banana, a touch of wormwood, cinnamon swirl pastries, caramelised oatmeal and a very elegant wee thread of wax running throughout. Hints of orange vitamin tablets in mineral water, bay leaf and dried mint. With water: develops more towards the raw cereal aspects. A little soot, some toast, trail mix with sultanas and a few soft wood resins. Mouth: spiced mead, bouillon, some root vegetables roasted in honey, a dusting of paprika, lime oil, lemon zest, ink, pink peppercorns, heather honey, blossoms, earthy turmeric. Just great! With water: a little drier, again more cereal, more lemon peel, grapefruit pith, herbal ointments and a little bit of rice pudding with nutmeg. Finish: good length. Rather fresh, delicately fruity with notes of cider apple, some straw, plain malt, gristy notes and various dried herbs - notably thyme and bay leaf. Comments: How can anyone not be charmed by Glen Grant? 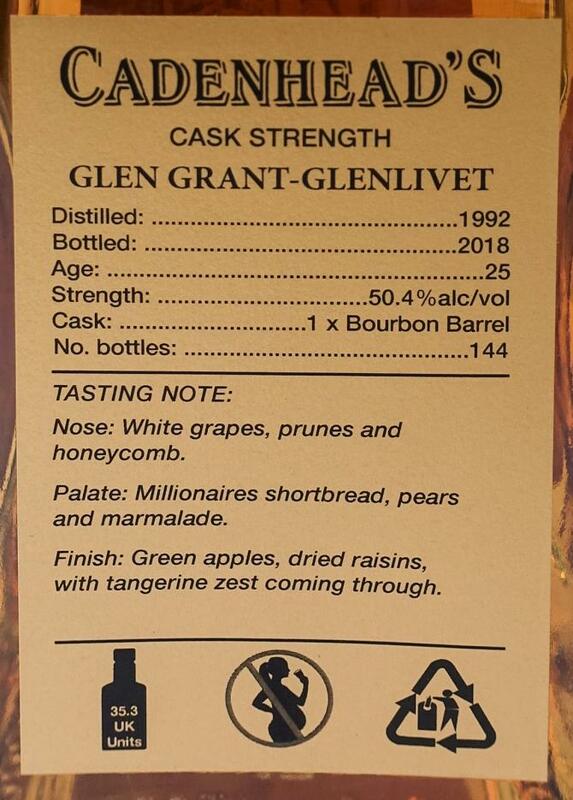 A top notch mature example that is superbly quaffable and treads a perfect tightrope between distillate and cask.